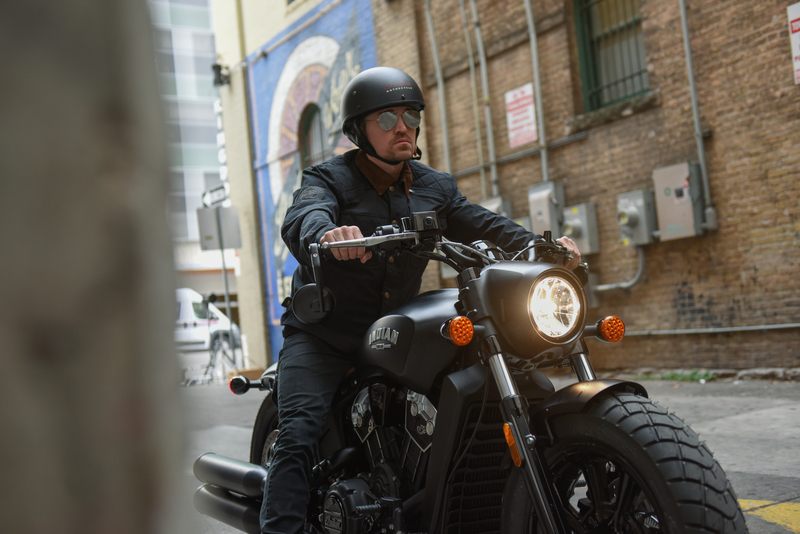 Indian Motorcycles has harnessed the talents of its Industrial Design division to create a unique bobber-style Scout that will be available to purchase from dealers towards the end of the year. Based around Indian’s meaty liquid cooled 94hp V-Twin engine, the new Indian Scout Bobber sees footpegs moved 38mm rearwards, swept-back bars added, the suspension lowered by 25mm and cartridge forks upfront, as well as chunkier knobbly tyres to replace the standard rubber. 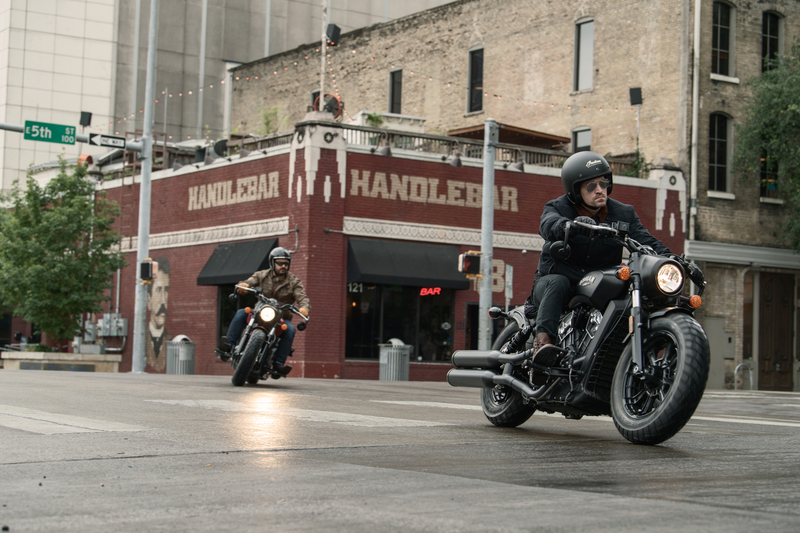 Naturally, a genuine leather bobber single seat has been thrown into the mix, while Indian says its stylists have taken plenty of inspiration from the stripped-out builds of America’s post-war past, meaning minimalism plays a starring role. 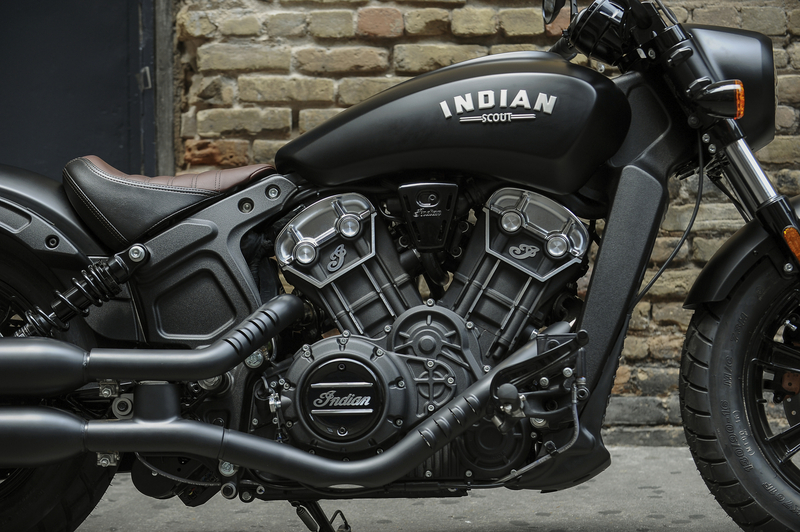 A black headlight surround, black speedometer face, minimal engine covers and vented exhaust shields ram home this industrial theme, while a limited range matte colours provide the finishing touch to the Indian Scout Bobber. 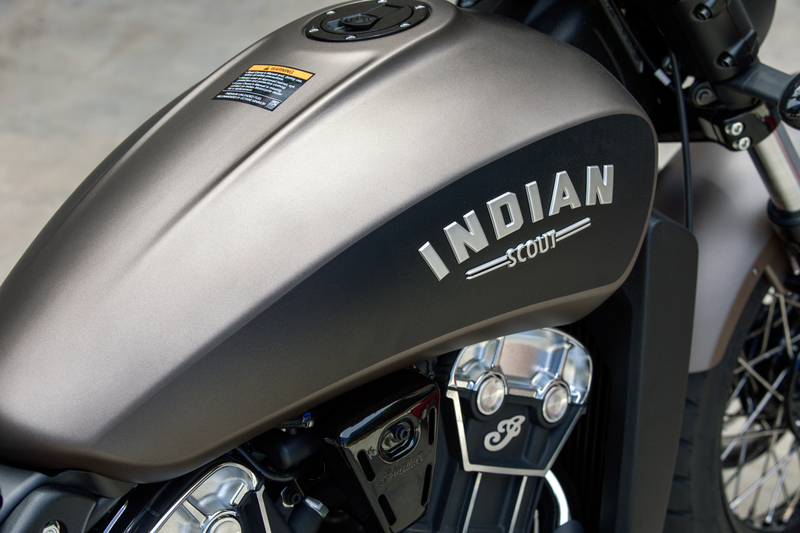 Unfortunately, European models miss out on the cool bar-end mirrors and side-mounted plate (as pictured here) but all bikes receive the bold new tank badge, which indicates the bobber version. 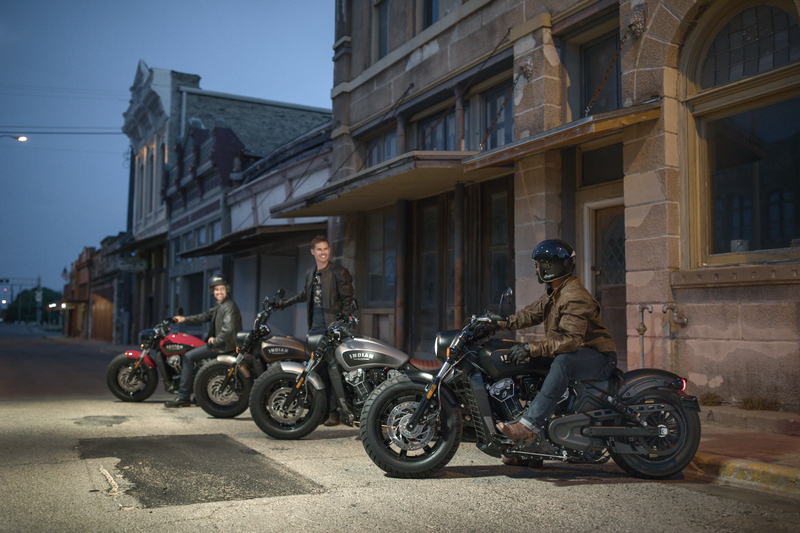 The Bobber could be the first in a line of more extreme Scouts, with the marque’s Flat-Track machines and cafe racers potentially lining up to inspire future models and limited editions. As our friends at The Young Guns have quite clearly proved, the Scout provides a pretty solid base for an impressive custom build, so crafting unique bikes that come with a factory warranty shouldn’t be too difficult for the firm. 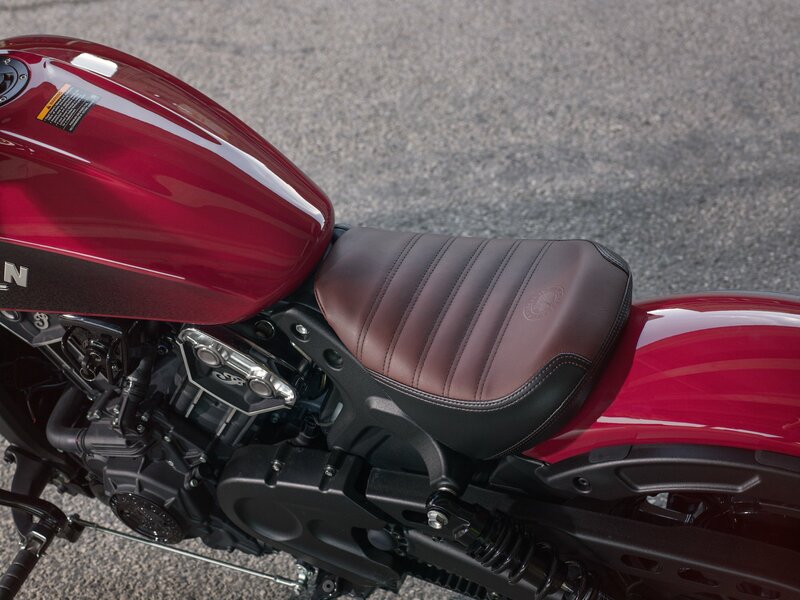 Prices and a solid release date are yet to be revealed but expect to find out more in the coming months, including the neat Roland Sands collaboration that Steve Caballero mentioned to us in our recent chat.